In 2022, EMLyon business school will move from the Ecully site it has occupied since 1972 to a new site in Gerland. It will also celebrate its 150th anniversary that same year. The business school currently has 5 sites around the world (Ecully, Saint-Étienne, Paris, Shanghai and Casablanca) and its teams are continuously growing. Additionally, its turnover increased from 56 million euros in 2014 to 98 million euros in 2017, enabling it to start operating independently of subsidies provided by the Greater Lyon, Saint-Étienne and Roanne CCI. The CCI and Métropole de Lyon will invest 85 to 90 million euros in the new campus. It is to be built on the industrial site formerly occupied by Nexans and will cover 30,000 sq. m. The school expects 10,000 students at the Gerland site alone, compared with 3,500 currently enrolled at Ecully. It also plans to open two new campuses in India and South America and wants to develop a business accelerator, “EdJobTech”, in which it will invest 20 million euros to support start-ups or existing companies specialised in developing educational applications. 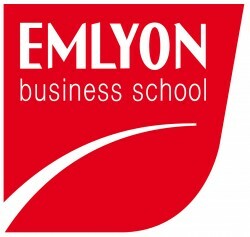 EmLyon unveiled its strategic “Early Makers 2023” plan on the 19 January in Paris. The aim is for the school to pool resources with private partners, such as Adecco, IBM and Renault Trucks, in order to develop its activities. But that is not all: just as Bernard Belletante, Director General of EMLyon explained, one of the objectives is to support the development of new teaching methods. Digitalisation and advances in artificial intelligence are transforming the educational model, which now combines face-to-face teaching in lecture halls with digital learning. The new campus will be better-adapted and located close to many businesses and research centres, so it will facilitate this pedagogical transition. Meanwhile, the City and the Ecully municipality are going to work together to renovate the Ecully campus.